Like wine, Pu'er's quality and taste improve with age. 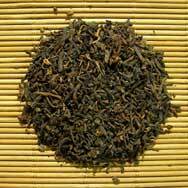 Our Old Aged Pu'er has been carefully aged to develop a taste that is wonderfully complex, silky smooth and mellow. In addition, Pu'er tea is revered for its medicinal qualities, aids digestion, lowers cholesterol and controls obesity. A must try for all Pu'er tea lovers. This tea is certainly very smooth, but I am not a big fan of aged teas... well not yet at least! Maybe I may get the taste for them one day. Great Tea! Bought for my parents and they asked that I get them more. 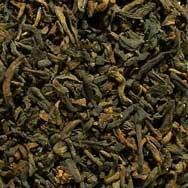 This tea has an excellent bitterness and should be in everyones pu erh collection. Tastey taste! Very nice flavor. Good with meals. Good multiple infusions. Similar to Gong Ting Pu-erh and smooth, again a little pricey. the tea is dark chestnut in color,very smooth,no bitterness or bad after taste.I really like it.Good for 3-4 infusion.Highly recommended.